#Office365Challenge All about SharePoint web parts and today we’ll look at the Media & Content Category – Media Web Parts. We’re busy with the Media and Content Categories (Web Parts), today we’re looking at Media Web Parts. 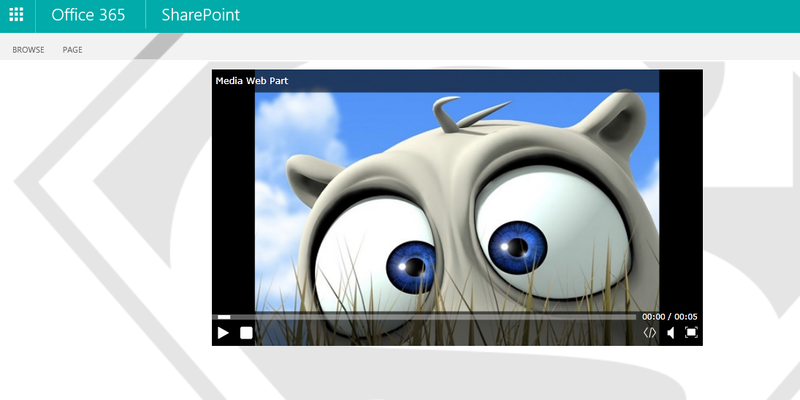 Media Web Parts allow us to add videos to SharePoint Pages. Content Editor Allows authors to enter rich text content. Get started with your site This web part displays a set of tiles with common SharePoint actions. Image Viewer Displays a specified image. Page Viewer Displays another Web page on this Web page. The other Web page is presented in an IFrame. Picture Library Slideshow Web Part Use to display a slideshow of images and photos from a picture library. Script Editor Allows authors to insert HTML snippets or scripts. Silverlight Web Part A web part to display a Silverlight application. Note: Silverlight must be installed for the video to play. Always adhere to current company policies regarding the type of media you are allowed to upload and take note of the size of the media as it will be slow to load / play if it is a very large file. And that’s how easy it is!! Tomorrow we’ll talk about Page Viewers.